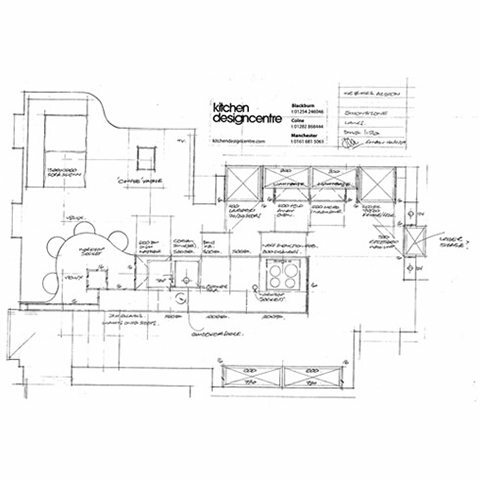 For Janet and Andy Alston their dream kitchen was miles away from what they currently had and they were doubtful it could ever be achieved with the space they had to work with. 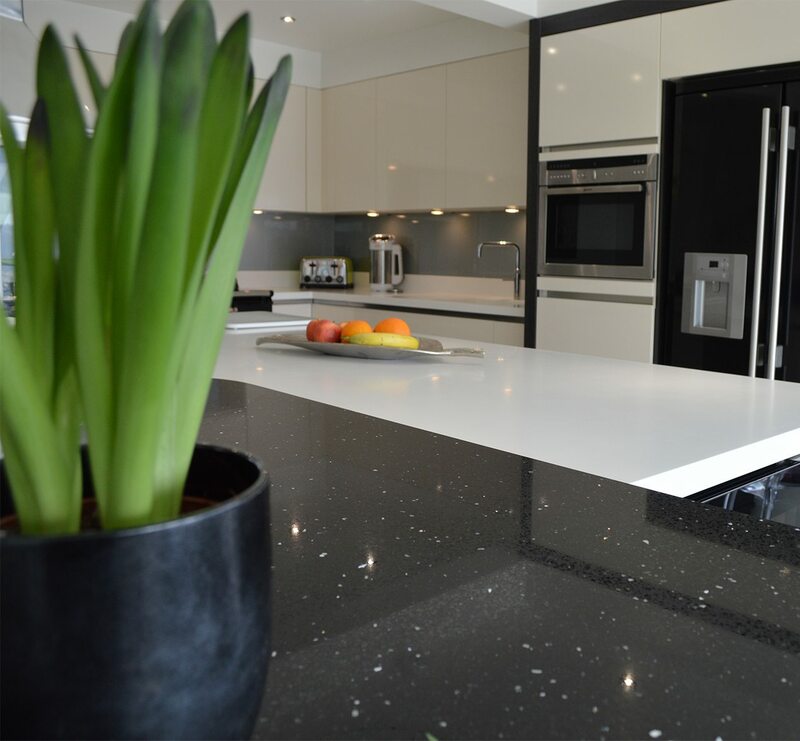 After commissioning the Kitchen Design Centre and showing Managing Director and designer Roger Astin their ideal kitchen and their hopes for the room, their dreams became reality. 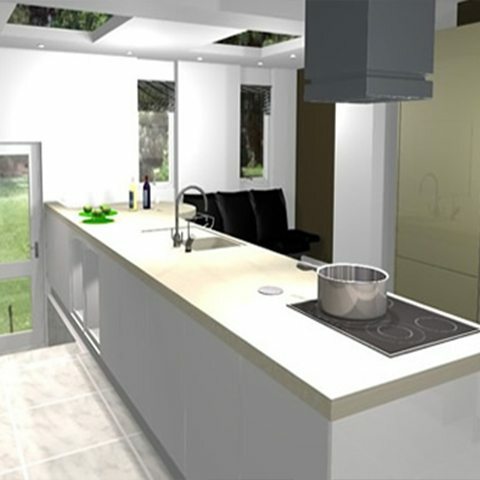 Roger said: “Janet and Andy had seen a style of kitchen they wanted in our showroom but they were concerned it would not be possible to recreate in their kitchen. “The space we were working with was lacking natural light, divided into two separate areas, had a stair way leading to the back door and was quite an unusual shape – making it a challenging project. Janet said: “For the Kitchen Design Centre to transform our two rooms into one light, contemporary living area with all the functions we asked for is amazing. The kitchen is fitted with all the latest appliances including a combination microwave, oven, warming drawer, cube extractor, induction hob, integrated fridge, freezer and dishwasher and a 100 degrees Quooker hot tap. “The island sits in the middle of the kitchen and extends following the curved wall to create an eating space for four people. 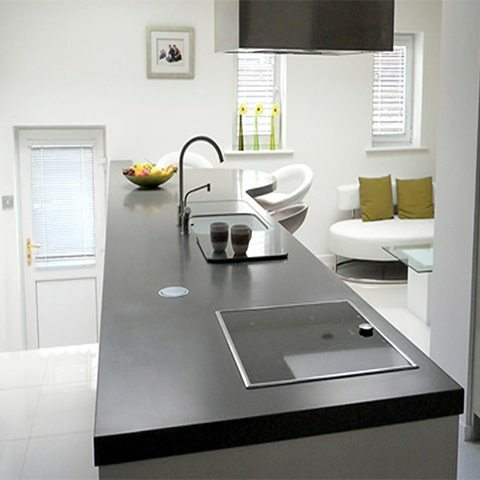 Janet added: “The whole process from design to fitting and aftercare has been handled with utmost professionalism and the Kitchen Design Centre have always been obliging and willing to help. 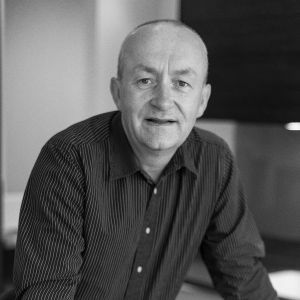 “This project was challenging but with a mix of modular units and a redefinition of space the finished product flows and we achieved what we set out to do,” said Roger. 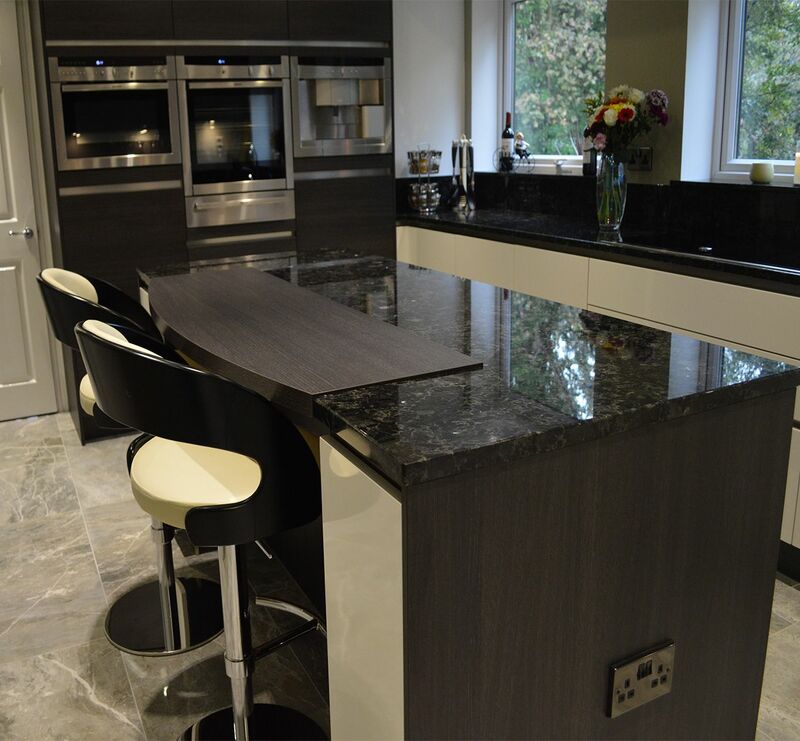 “We would certainly have no hesitations in recommending the Kitchen Design Centre to anyone considering purchasing a new kitchen – they would not be disappointed with the quality and service,” added Janet. "Our kitchen is now a fantastic, spacious area that we use to its full capacity, the living area with the TV and seating adds another dimension to room that we love to relax in." "Janet and Andy had seen a style of kitchen they wanted in our showroom but they were concerned it would not be possible to recreate in their kitchen." "The space we were working with was lacking natural light, divided into two separate areas, had a stair way leading to the back door and was quite an unusual shape – making it a challenging project"